So, we have been playing Final Fantasy XIV, re-released last year, a considerable time after its incredible nose-dive into the sun shortly after its initial release. So far so good. There still aren’t enough quests for my tastes, and some odd prohibitions that I can’t see the point of. Why tie unrelated side-dungeons to the main questline, so you only get access after reaching a certain quest, even if you are the right level? Why can’t we take a too-low team into a dungeon? Why can’t we try with three people? These latter pushings of the challenge envelope are something I have always enjoyed, despite often being punished with much death for my audacity. It’s those radical moments when you actually manage to pull off something unexpected that make it all worthwhile. Revisiting Final Fantasy XIV has brought back vivid memories of Final Fantasy XI, my first real MMO, and doubtlessly where my rules-lawyery-ness about following “the unspoken rules” originates. (The tank goes first, let the tank pull, avoid getting aggro if you are not the tank, crowd control is sacred). Although recent games challenge these traditionalist MMO concepts, these unspoken rules still exist in FFXIV, along with the same snide elitism about gear. Is there something about Final Fantasy that encourages this? ‘Cause although it is definitely present in other games, I haven’t seen (smelt?) such strongly scented epeen for some time. Anyways, playing FFXIV did inspire me to make a new movie, the idea of which was forwarded by my good friend Guildenstern (who has been dragged, kicking and scream-emoting, from one game to another over the last few years, despite the opposition of completionist tendencies). Who knows how long it will last on the interwebs, since Square Enix is apparently just as rules-lawyery about copyright as it is about gameplay. Ah well, it’s here for now. ArcheAge is an up-and-coming sandbox MMO which has been in production for some time. It floundered about for a good long time, having difficulties finding a company to bring it to the west, but Trion Games eventually took it up. Even now, only vague snippet of information are forthcoming regarding it, although what has been promised is enticing – ships, wagons, player-built housing, large-scale battles, player-judged legal system, prisons… I wonder if it will actually all come to fruition, and not be the vast disappointment previous games (Vanguard, for example) that have promised such wide-ranging systems have been. Bare-chested male toons fishing in boats and riding donkeys? No problem. My recent obsession with making the first chapter of my Star Wars fan fiction story, Aronoke, into a short film has been highly time consuming. Who knew that 3d modelling software like 3ds Max could be so complicated? Well, I did, but on this occasion I have made more progress than on my previous forays, and I am pleased with the results. Why, two months of steep learning curve and mounds of texturing has given me over two minutes of film! At this rate I should finish by the time I am eighty. With any luck. Admittedly I have managed, with considerable help, to also install a stack of kitchen cupboards as well, but most of my other projects have been left wandering, lost and alone. Even my MMO activities have been largely neglected. Save for the latest Secret World update. 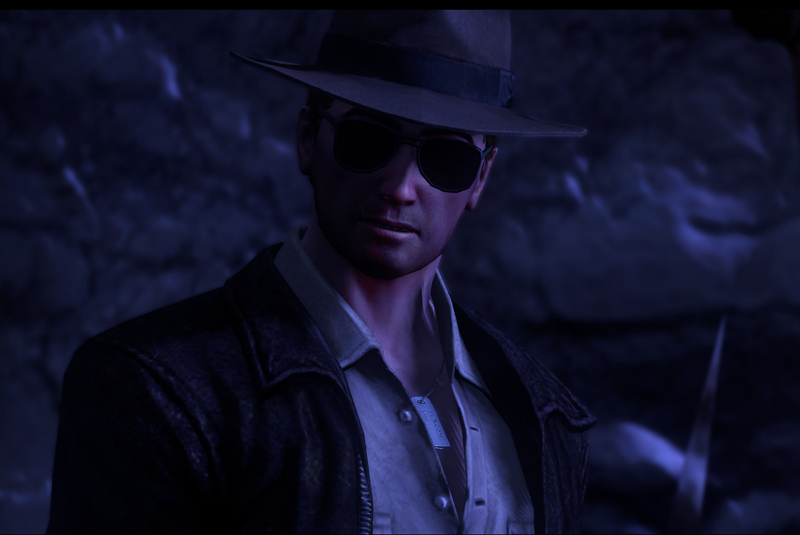 How could I possibly resist Action Adventure combined with tasty fedora-imbued goodness? 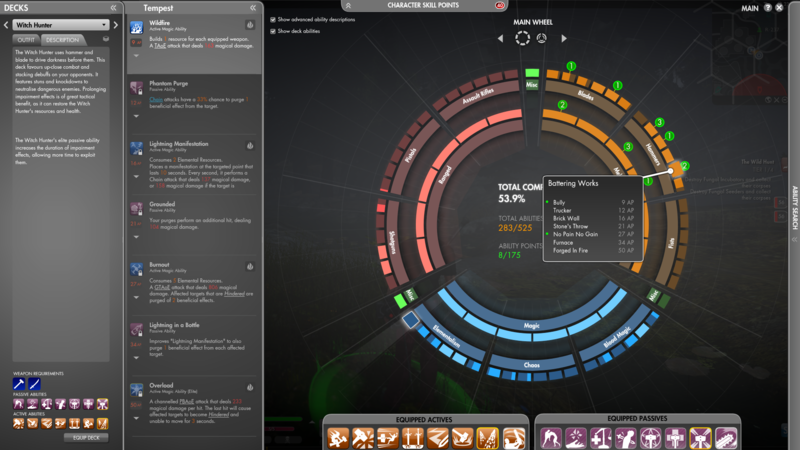 Polaris is the first instance most new Secret World players will encounter, and like the game itself, is substantially harder than most instances a “noob” low-level player will typically encounter in the early zones of a MMO. 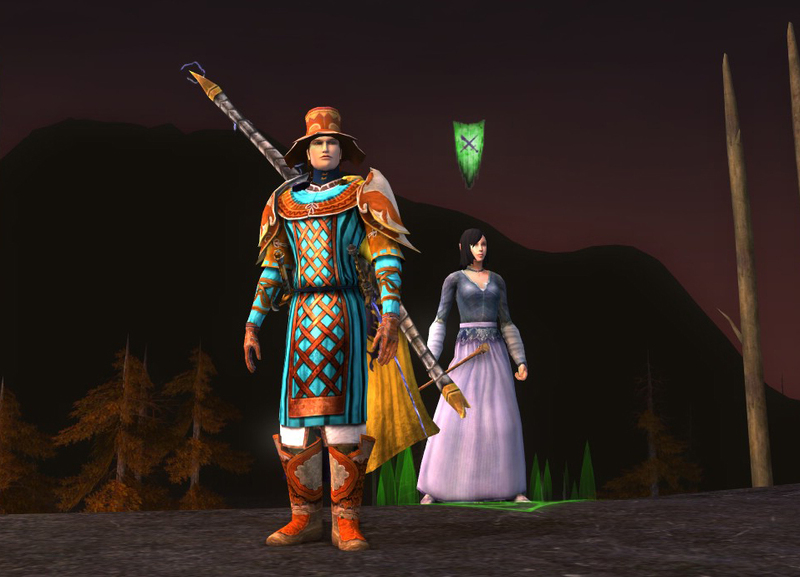 In Normal mode, Polaris can be a considerable challenge to an unprepared group, while those with more experience will find it easy to duo (and possible to solo) wearing Quality Level 10 blue gear. Thus, you may not notice the difficulty if you first encounter the dungeon in the tow of an experienced and over-equipped player that knows what they are doing. If you are encountering the instance with a group of raw noobs wearing Quality Level 3 green gear and you choose not to read instance walkthroughs beforehand, it is a different matter entirely. Considering that starting players typically have Quality Level 3 gear at best when adventuring in Kingsmouth, the instance can be a tricky challenge, particularly in the case of the last two bosses. I am intending to write a series of “Noob” guides for Secret World instances, largely because many of the Secret World guides I have read follow the lines of “Do these two things and you are guaranteed to succeed” and/or “This is awesomely easy, and only complete noobs who don’t know their ASD from their W could possibly wipe”, the latter of which is highly flattering when your group has already wiped many times before finally choosing to consult a guide. Perhaps these things are true if you are running an instance with a bunch of over-geared people who know exactly what they are doing, but if you are playing with a group of raw noobs who are all there for the first time (perhaps because you are not interested in having the solution completely handed to you by someone else), it is a different matter entirely. As I play almost exclusively with a small cabal which attempts to solve instances without looking anything up, (at least not before wiping a good score of times and exhausting all the strategies we can think of), I may be missing easier solutions that are more widely known. To fire off this series of guides, I will start with what, in my opinion, you should know before embarking on your early Noob instance adventures. This guide will not tell you specifically what you are going to face (or it wouldn’t be an adventure anymore, would it? 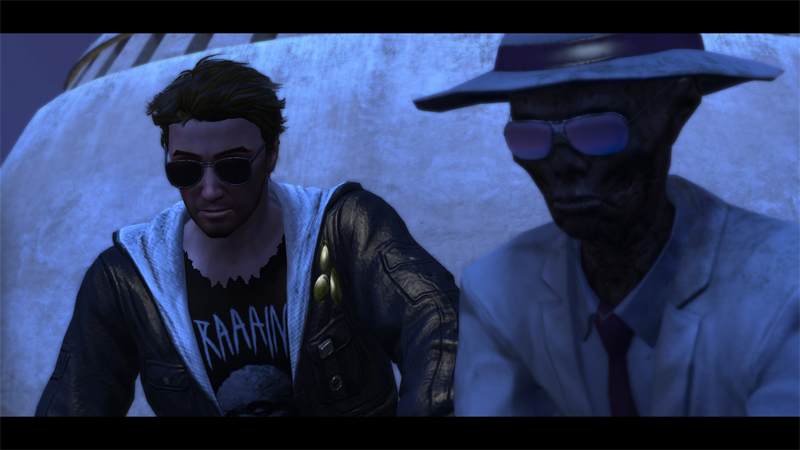 ), but some general Noob tips aimed specifically towards adventuring in Secret World. Additionally this guide does not address MMO group etiquette or basic MMO roles or how you should use voice chat. If you don’t know what a tank is, what dps stands for, what Ventrilo, Mumble or Teamspeak are, or the (often unspoken) rules regarding things like looting and aggro management you will need to look elsewhere. 1) Stay out of circles. 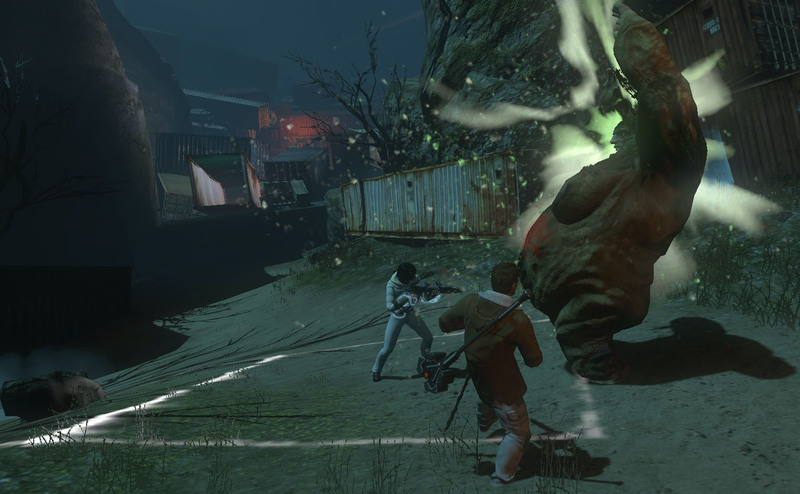 Secret World has many Area of Effect attacks which I ubiquitously call “circles” regardless of their shape. (It is much quicker to yell “Circle!” over voice chat to warn your friends then to try to use the names of the specific attacks, so I use “Circle!” unless knowing which specific attack is vital.) There are noted exceptions to this, but generally, standing within the white spreading circles, rectangles, bubbles, polygons or whatever, will get you killed very quickly. Sometimes instantly. 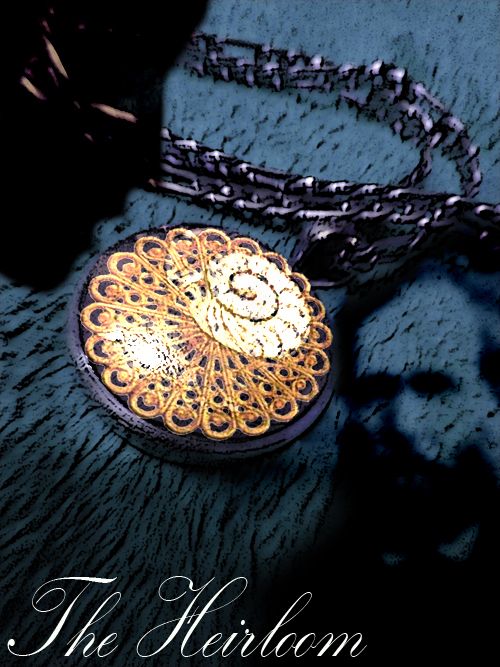 There are also circles that look like glowing fire, blood, or darkness (filth). These are also typically deadly. Practice double-tapping the movement keys (to perform a rolling dodge in the tapped direction), and running to get out of circles quickly. You will need to be able to do both. Note that running backwards is slower and only works with small circles. Playing with the Akabs in the Savage Coast (the second zone in Maine) is a good way to practice this. 2) Be aware of your environment. Position yourself wisely. Where you stand and move can be incredibly vital in Secret World, and is often the difference between success and failure. Always fight on level open ground if you have a choice and there is no reason not to. Sometimes circles are hard to see on slopes, stairs, or in water. 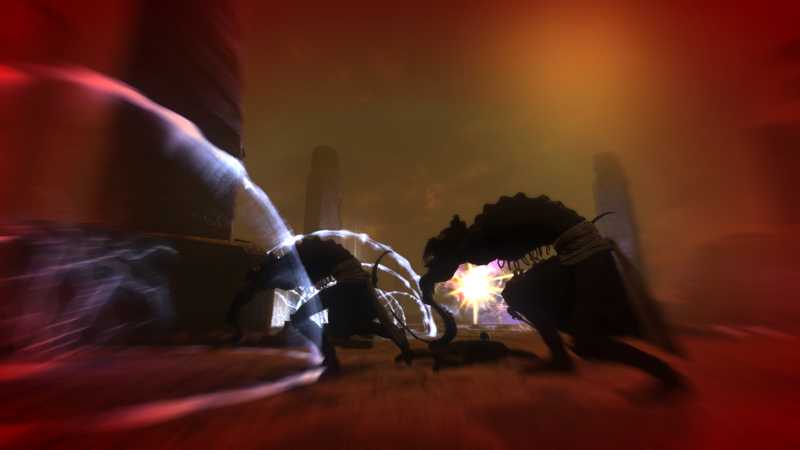 Some monsters have frontal cone or blast attacks that you will not be affected by if you are careful to keep behind them. Use the less frenetic parts of the fight to position your character appropriately and be aware of what directions are best to dodge in if something happens where you are standing. It is easier to get out of enemy attacks quickly if you have planned which way you will run. Dodging into walls or objects seldom ends well. You will be either unable to dodge in that direction, or your dodge is cut short. Be aware of where your friends are. Some monsters target you with targetted AoE attacks (circles) that follow you wherever you go. Running to get out of these circles straight over the top of other players will probably drop circles on top or them and is counter-productive. More generally, the environment can include things like fiery jets coming up from the floor, inanimate traps that fire off circle attacks when you stand near them, filthy water pools that damage you while you stand in them, electrical fields, or circles that leave a permanent puddle behind them that continue to exude damage if you walk in them. This can be surprisingly tricky, because you are already trying to watch your colleagues, watch for circles, and if you are the healer or tank, watching everyone’s health bars as well. Watch for emotes that herald special attacks (eg. boss pauses and raises arms in the air, boss turns aside and casts dramatic purple swirly special effects). Listen for audible catch-phrases that indicate incoming attacks or phase changes in the fight. Watch the boss’s cast-bar and note the names of attacks as the boss casts them, as these can tell you what is about to happen a little earlier and helps you associate attacks with specific emotes. Check for icons indicating buffs above the boss’s bar. Buffs can improve a boss’s damage or defence abilities. You might want to run away from the former, or hold off using your best attacks during the latter. Yes, this is really Number One on the list, although early in the game you can be excused for not knowing all the facts yet, or for having an incomplete deck of skills. That doesn’t mean you should stay ignorant. From an early stage in the game you should form some idea of which deck or role you are working towards. Look at the existing decks for your faction – these will give you a good idea of how a decent deck is built. Look at future skills that might augment the ones you already have, and work towards obtaining them. Make sure you read through all your abilites (and easily obtainable potential abilities) carefully. Lots of skills complement each other, so look for passive abilities that give bonuses to the type of attack your active abilities use (eg. Blast, Focus, Chain, Burst, Leech etc. ), or even to specific abilities. Don’t be afraid to try out different weapons and combinations of abilities. In the end, Secret World instances are like puzzles in which working out the correct party-wide combination of abilities can be vital. You can get all the abilities and skills in the wheel if you are willing to put in enough time. There are numerous guides and decks that specify decks for different roles. DPS (damage dealers) should wear gear with high Attack Rating. Tanks will typically need high +Health gear. If your health is very low with all your DPS or Healing gear slotted, consider putting in one or two high +Health pieces even if your Attack or Heal rating is reduced. All that uber DPS and Healing power will not do you or your party much good when you’re dead. 5) Know your friends from your enemies. This seems like it should be ultimately obvious, but it is less so when you are confronted by a fiery pulsing circle on the ground, or a sudden green swirling that might be poison or might be healing… Player attacks come in many different forms, and as a Noob it is difficult to be familiar with all of them. Some of them look surprisingly like some monster attacks, and may be bright enough to make it difficult to see hostile attacks. 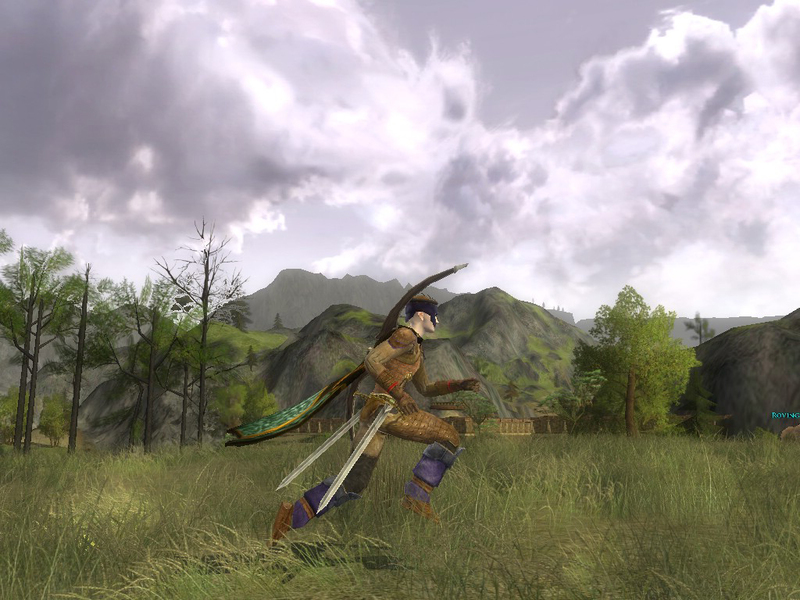 Ask questions if you are uncertain if an effect is friendly or not (“Is that thing with the spears coming up out of the ground yours?”) and pay attention to abilities you see other players using while you run around playing solo – you don’t want to be constantly running out of a healing AoE or out of the tank’s aggro-circle. It is much easier for me to simply list the few characters of mine that *have* reached the level cap. Most of them are not at the level cap now, as games have a strange custom of raising level caps every few years. 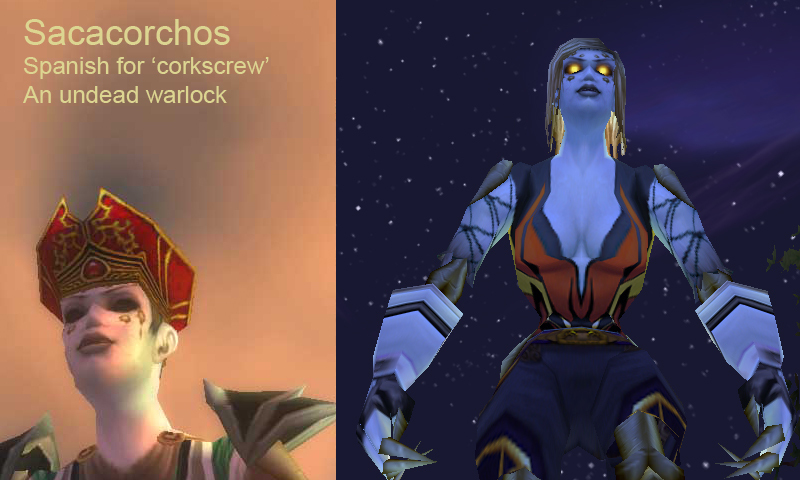 In World of Warcraft I had one character at 60 and another nearly at 60 when they decided to raise the cap to 70; Sacacorchos made it there in the final weeks that we played the game. In Age of Conan I again only got one to 80, which is still the level cap now. Poor Arthes the Bear Shaman is on level 79. At one time I had four at the level cap in LOTRO: but they moved it twice, and all of them are currently scrambling to catch up. And finally there is Jord, in SWTOR. It does seem that most of them are girls. This was never a habit of mine when I was young; I think it developed in RPGs and later MMOs in response to Am&a (almost) always playing boy characters. No commonalities in terms of character role in the game leap out at me. Generally, I would be happy – or at least, I say I would be happy – if all the mechanics were hidden and the character experienced the game purely as a story. 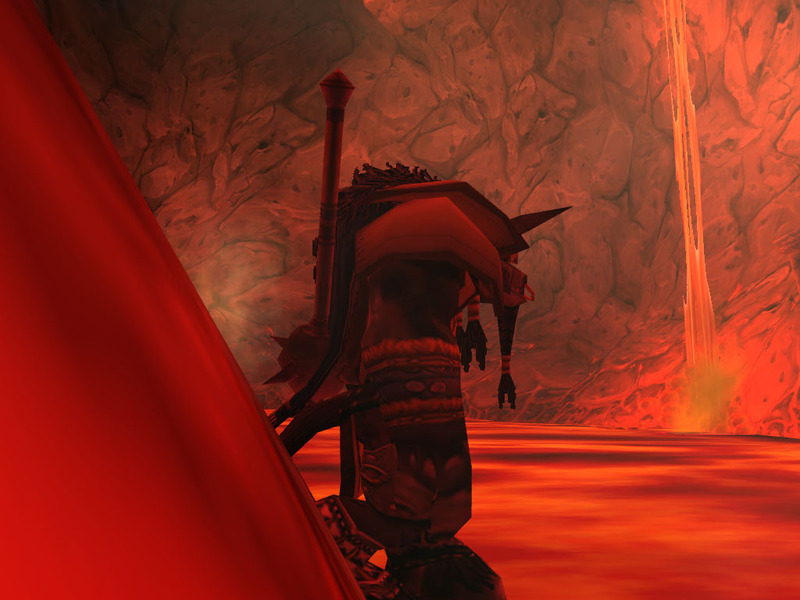 What makes a MMO character fail? 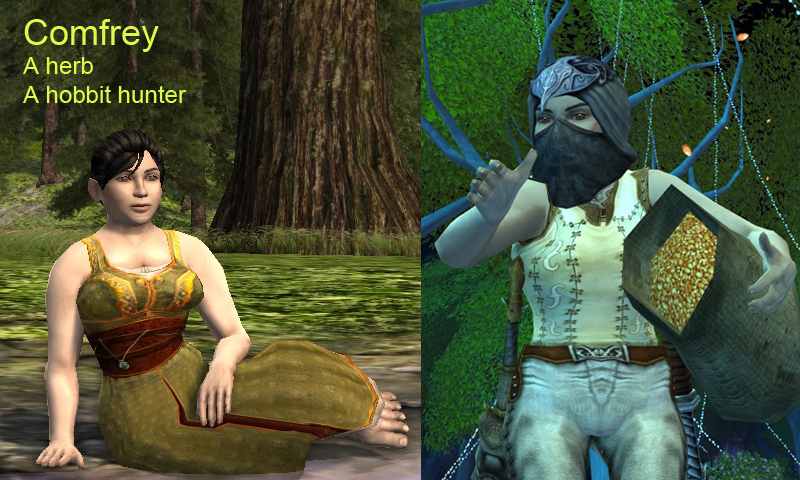 When it comes to MMOs, and largely RPGs as well, I have dreadful biases against playing certain sorts of characters. Although I try to challenge my own trends, typically the characters I create that don’t fall in a certain set of characteristics don’t make it through to maximum level. Although there are occasional exceptions to all the rules. So I thought it would be amusing to make a list of the top five qualities that make my character more doomed to fail. I don’t like playing the short weird ones. I am quite willing to play a short human character. 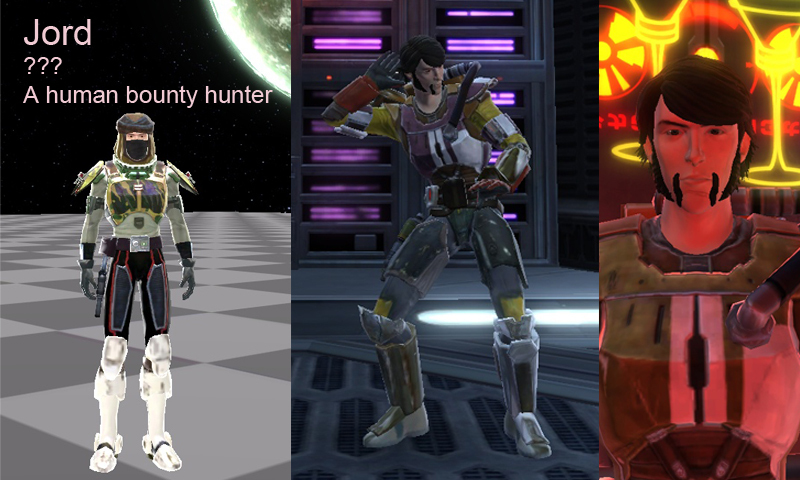 I played the short human male model in Star Wars: The Old Republic quite a bit. But when it comes to other races I admit to having tried gnomes, dwarves, tarutaru, hobbits, and those cutsey animal things in TERA – popori, I think it was, with limited success. (I wouldn’t even touch an Elin). My hobbit burglar got to level thirty-something, admittedly, but that was because I played him with a group of other hobbits that were made up to play together. It wasn’t my choice. An exception to this are the Asura in Guild Wars 2. 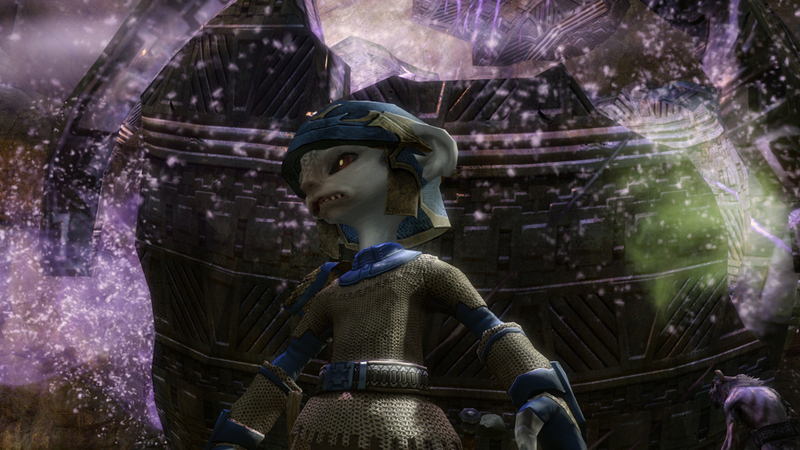 I like the Asura, maybe because although they are short, they have huge egos…. I like the way they move, which is always important – how they nearly fall on their faces every time they jump. I didn’t expect to like them, but I do. The big square fat guys and the big muscly male types in SW:TOR were too big and square for me. It also disturbs me that the female variants of these models could only be called voluptuous by asian teen-fashions standards. Not that I want to play chunky female characters, but if there are chunky males, there should be chunky women too. The Norn in Guild Wars 2 are too big, and so were the Tauren in World of Warcraft, the Galka in Final Fantasy XI, the Aman and Baraka in TERA. Mostly the slow running-animation of large characters disturbs me. They feel like they’re going slow, even though they run the same speed as everyone else. Okay, so that’s a pretty big chunk of the toon-population. I’ve always been inclined towards playing male characters. Perhaps on some deep subconscious level I want to collect a whole stable full of heroic toy-boys…or maybe I was warped by reading too many old-fashioned adventure novels while I was growing up, in which the girls had to stay dully at home because it was safer. 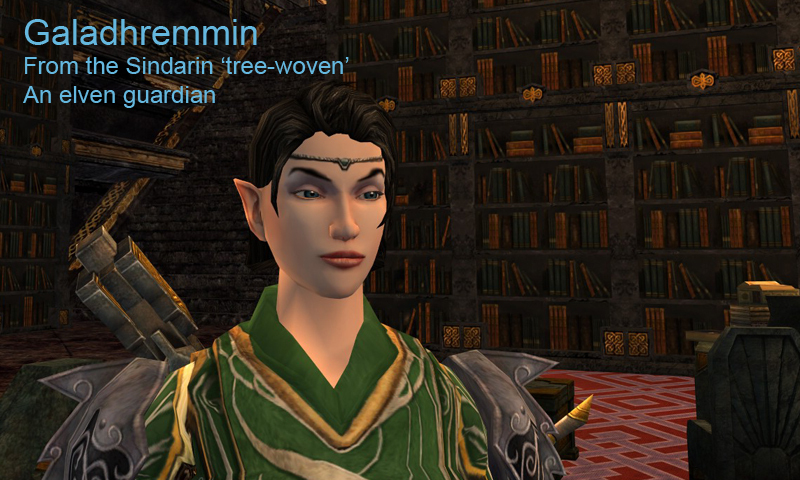 In the “earlier days” of MMO gaming, playing male characters was a good way to avoid getting hit on. Admittedly my male characters have been hit on once or twice, which is always amusing. Occasionally, in the ‘old days’, people were highly surprised if they found out you were not a guy. No matter what gender character you played. “OMG! You’re really a gurl!!! !” My earliest incidence of the “OMG! You’re really a gurl”-phenomenon was in a chat room when I was fifteen (it was a pre-proper-internet chat room on an online service called Viatel). I had an identity with a name most people assumed to be male. Then a guy I regularly chatted with admitted to me that he was gay (more of a big deal socially back then). He felt he should tell me because we talked together a lot, he said, and he didn’t want me to be misled. When I guiltily admitted I was fifteen-year old girl, he accused me of lying and never ‘spoke’ to me again. But anyway, I tend to dislike the way female characters are animated. They run funny, flinging their handses out to the sides, and lifting their feet too high behind them. They often have arms like pipe-cleaners, despite wielding huge heavy weapons. They are often underdressed. I don’t mind this so much, but if the female characters are underdressed, then the male characters should be too. If they are not, I find this annoying. 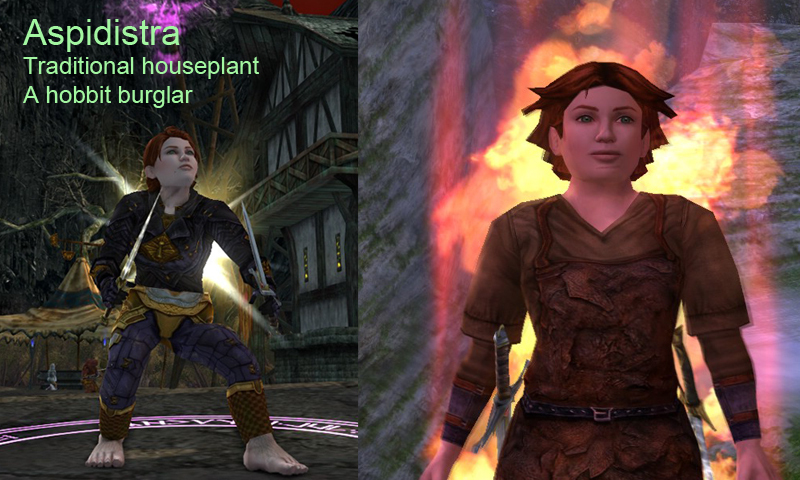 I suppose I prefer my combat up-close and personal, although I am also a big fan of the “crowd control” mage type. Classical “hunter” types often have crowd control as well, but true glass-cannon style dps is my least favourite class to play. 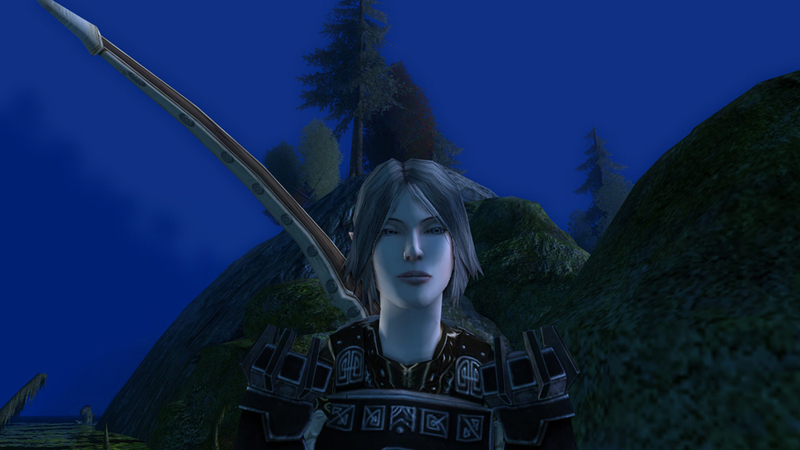 I much prefer a hybrid of dps with something else, such as the DPS-plus-off tank style of the champion in LoTRO, or the DPS-plus-healing-plus-CC of the Imperial Operative in SW:TOR. The addition of a pet to this type of class (like the Hunter in WoW or the Ranger in Guild Wars 2) adds a little more interest, but not usually enough to drag me through the level grind. I am far more likely to play a pure tank or healer than a pure dps character. 5. Characters who don’t look cool. 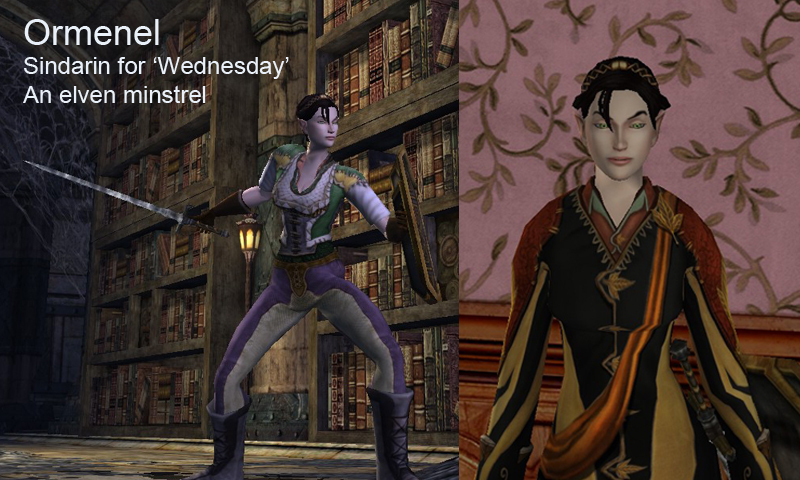 Aesthetics goes a long way towards heightening the playability of a character. Although I am not as inclined to play what I call “dress-up-dolly” with my characters anywhere near as much as some people I might mention, and I am largely inclined to throw away old gear rather than keep it for cosmetic purposes, the way my character looks and moves is still very important as to whether I will continue to play it or not. As mentioned above, large, small and female characters often fall into the category of “awkwardly animated”, and then there are character models that are just plain ugly. Those male humans in WoW with the huge arms…. immediate put-off. The Charr in Guild Wars 2 are perhaps the most popular non-human race, but their cat-faces are too inexpressive for me to really warm to them. And then there’s hair… I have remade characters on numerous occasions because I didn’t like the way their hair looked when I got in game. Or because their skin-tone was slightly off. So there you have it. I’m sure most altaholics have “doomed-to-fail” categories just as I do. Please feel free to comment! Chris noticed a theme in most of my MMO related videos. Seems like they are usually about the NPCs – the background characters who we don’t really consider as individuals in the game – orc grunts in LoTRO, imperial lackeys in SWTOR, and now Orochi goons in The Secret World. The underdogs in MMOs are always more interesting from a story-telling perspective than the super-powered heroes, because the heroes are what the game is already about. 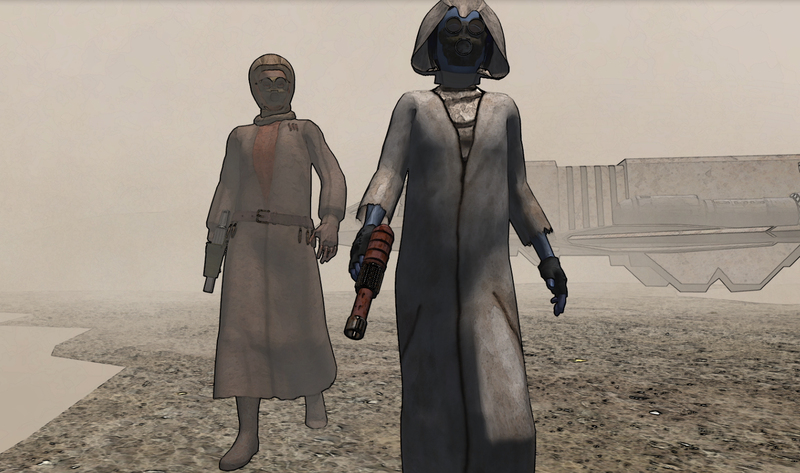 There is more space to make up a story about the background characters In games, the minor NPCs seldom have characters at all – if they’re lucky they have some lore to back them up. I don’t much like creating fictional works around “other people’s” characters. Even my Star Wars fan fiction, Aronoke, doesn’t have any characters from the game or the movie in it. So when I borrowed my dear friend Jenny’s Secret World account to make my latest video, “Orochi Corp“, I told her I would be sure to go through her character’s underwear drawer and post videos of her in her lingerie on Youtube. I would hate to disappoint.